With that fall wedding just around the corner make sure you have all the wedding apparel you will need. Make sure to view our popular bride shirts and bridesmaid shirts! Use promo code BPTS9 and get 10% off your order. This offer ends on 9/30/2013 at 11:59PM EST. For a bride and groom, trying to decide who and who not to invite to the wedding can be the hardest and most difficult part of the wedding planning process. It can cause much un-needed stress and crush the excitement you had of wanting to share your day with everyone special in your life. However, every bride and groom has a budget to adhere to and that means cuts need to be made somewhere. The easiest place to start when looking at your guest list is with those who are without a doubt invited to the wedding. This includes mom and dad, grandma and grandpa, wedding party members, etc. Label these invites and put them in one group. It is a simple way to start trimming down the list and once you start grouping and labeling those on your guest list, the rest just falls into place. When going through the wedding guest list, think about who is in your life at this moment. They are the people that you talk to on a regular basis and those you are still very close with. Leaving off old high school and college friends that you haven’t talked to in years and second cousins that you haven’t seen at the last couple of family reunions can be another way of getting your list down to size. Family members and the bridal party will always ask and make suggestions about the guest list because they want to know if their friends will be there. 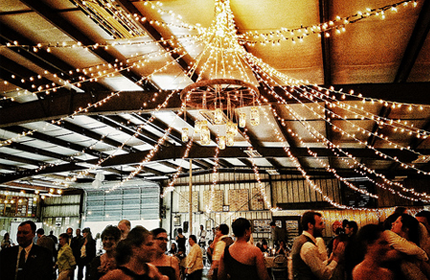 Don’t let these persuasions add to your guest list. Also, don’t feel obligated to invite people that invited you to their wedding. 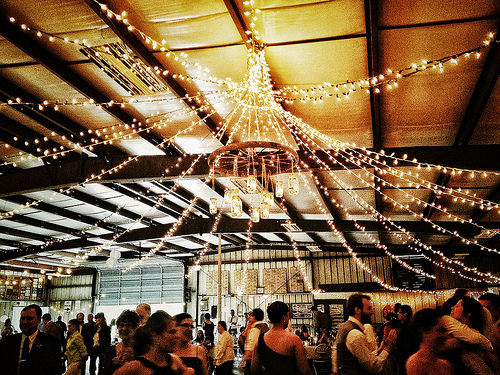 Every couple’s wedding has different situations and restrictions. Marriage is 50/50 so you might as well start before you officially tie the knot. Let your groom invite half to the wedding and you invite the other half. If one is over the amount of guests they are allotted, then you know who will be making some cuts. When you have single friends, it can be hard to send an invitation that doesn’t allow them to bring a guest to the wedding. Their fear, and yours as well, is that they might not know someone at the wedding. By seating all of your single guests together, you give them the chance to mix and mingle and meet new people. We hope these five tips help you and your husband on your way to slimming down your wedding guest list to fit well within your budget. 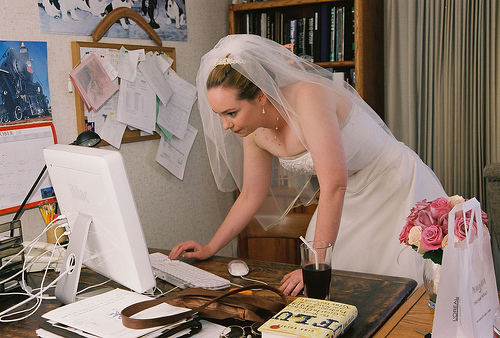 What does a bride do before her wedding? Nothing but eat, sleep and breathe everything wedding! It’s the first thing on her mind when she wakes up and the last thing she thinks about before going to bed. If you are a bride-to-be, you probably have already experienced some of the above. Now with Bridal Party Tees here to help, you can literally fall asleep with dreams of wedding bells in your head with custom wedding pajamas! These new custom pajama pants are made for comfort! They consist of lightweight cotton and feature a relaxed fit to give you the ultimate level of coziness after the long days of nonstop wedding planning! If you’re not the bride, but a friend or member of the wedding party, these custom wedding pajamas would make the perfect bridal shower gift. 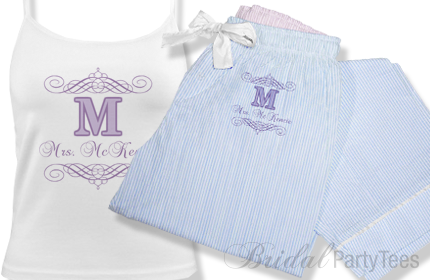 With every bride-to-be looking forward to the big day, why wouldn’t she love a custom pair of pajama pants and tank top to match? 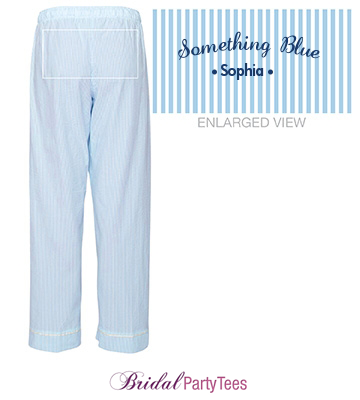 Customize her wedding pajamas to include her wedding date and soon-to-be last name for a gift she is sure to remember for years to come! 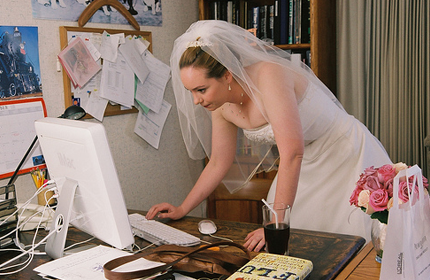 Are you a bride that isn’t afraid of getting things done to make her dream wedding a reality? 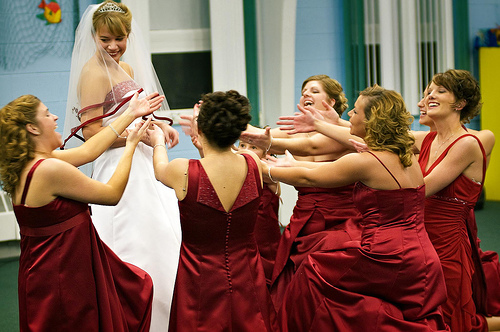 Do your bridesmaids have the same attitude? If so, you and your bridesmaids will need bridal shirts that say it like it is! Our real bride-to-be and real bridesmaids shirts we have at Bridal Party Tees reflect this ‘get it done and get out of our way’ kind of spirit! These shirts will keep things classy, while at the same time demand business when it comes to all things wedding! When you see these shirts, you will know exactly what popular TV show the designs are based off of. And regardless if you are a fan of the show or not, you’ll love how cute and edgy these shirts are when paired together! 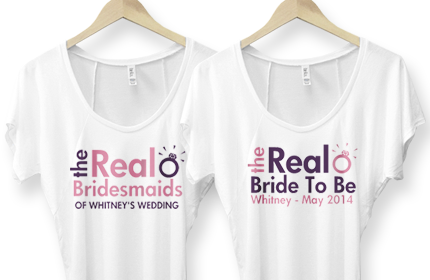 Customize the real bride-to-be shirt and the real bridesmaids shirts by adding your name and the year of the wedding to the design! These shirts are incredibly versatile and can be worn to many different wedding events too, not just the bachelorette party! You and your bridesmaids can wear them to the bridal shower and rehearsal as a simple way to let family members and friends know who is part of the wedding! Also, if anyone has questions, they know who to go to in order to get those questions answered and decisions made! Are you and your bridesmaids badass enough to wear these shirts? 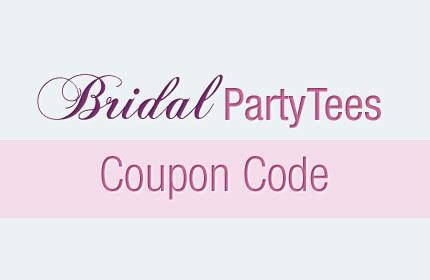 Use promo code BADASS to save 15% on BridalPartyTees.com from now until Saturday, August 24th 2013 at 11:59PM. Customize these shirts or any other piece of apparel you will be needing for the wedding! One of the more expensive costs involved in planning a wedding is when you are looking to hire a professional wedding photographer. A good wedding photographer is one that can capture the best moments of the wedding. Not only will they be focused on you, your groom and the bridal party, they will also be skilled enough to catch some of the more candid shots of your guests too! When your wedding is all said and done, the photos will more than likely be the one keepsake that you can reminisce over for years to come. It can be tempting to skimp on this part of the wedding and to devote more of the wedding budget to something else, but remember: if you hire an amateur, you will probably get amateur results. We understand how difficult it can be to hire a wedding photographer, especially one you can trust and afford, so we’ve complied a list of things to consider before signing on the dotted line. This way you can see what their personality is like and if they are someone you can ultimately see working with on your wedding day. Get to know their process for taking photos and make sure they have a passion for this career! You can easily find out what type of pictures you will end up with by the type of photos they have taken of other weddings in the past. When you describe your wedding to the photographer, they should be able to find a similar wedding they have done to show and demonstrate their style of photography. Pay attention to the different poses he or she uses when photographing the bride, groom and the wedding party, then make a note of which ones you liked. Looking through the photos of other weddings they’ve done will also give you an idea of how adaptable they are to different venues and locations. If their equipment fails the day of your wedding, do they have backup equipment in place to make sure you get the quality pictures you want for your wedding? A true professional will have other equipment and a backup plan in case of an emergency. Also, ask if they have an assistant. While an assistant can help move the process along and keep things organized the day of, sometimes they are an added cost. It’s also a good idea to ask if they use film, digital or both. Find out what they are willing to take pictures of and what the additional costs are. Some photographers are more than willing to take photos for events other than the day of. Ask what is all included in the package they provide and if other smaller events like engagement photos, a groomsmen golf outing or a bridesmaid luncheon can be bundled together. Finally, when you have all the details squared away, get a written contract signed by both parties to avoid the risks that can come with planning such a large event. 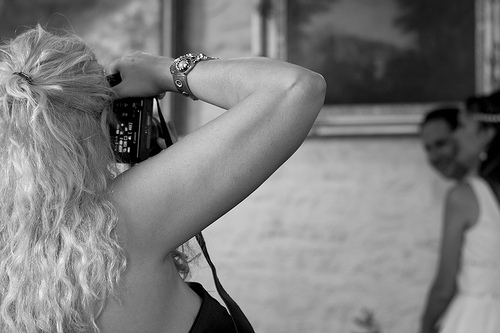 Outline what you want and have the photographer provide an itemized list of what everything costs. Make sure both you and the photographer have a clear understanding on when payments are due and when the finished photos will be delivered. We hope these few tips will have you on your way to hiring an amazing wedding photographer who will produce amazing photos for you to look back on for years to come! While there are some brides out there who aren’t afraid to embrace the full bridezilla strategy when it comes to getting things done for the wedding, other brides may not be so aggressive, especially when it comes to enlisting the help of others. It is natural for a bride to feel like she has to do everything herself in order to make her dream wedding happen. However, being stressed out all the time from a huge to-do list can cause you to miss special moments leading up to your wedding. If no one is stepping forward to help with the wedding responsibilities, it is more than okay to delineate tasks to members of the wedding party. Give details of what you want. By not specifying the nitty-gritty, things may turn out to be more of what they wanted instead of what you had envisioned. Let them know it is more than okay to contact you when needed, instead making an unsure decision. Give a deadline. Not having a deadline can put you more at risk of having people forget or procrastinating until the last minute. Consider who has time and who may not. If you think someone might have a lot on his or her plate already, choosing a different wedding party member would be wise. Don’t be afraid to check in. If you haven’t been getting the updates you were hoping for, it’s okay to contact them and ask. Asking for help with the wedding and following these five tips will have you on the path to a stress-free wedding! The perfect event for these jerseys to be worn is the night of the bachelorette party! Create a custom bride jersey for yourself, the quarterback, as well as accompanying bridesmaid jerseys for the women who will be protecting you on your final night out. Take the team vibe even further and add a name to the back of your jersey along with the year of your wedding. Now that would be a touchdown! Our jerseys are fashionable and made to fit women so they won’t be oversized and bulky like other jerseys you might find in stores. Even the groom will take notice of the bride and bridesmaid’s jerseys if he is a football fan! Now on the Sundays leading up to the wedding, when he puts on his favorite team’s jersey to root them on to victory, you can put on your custom bride jersey and show him what team you’re rooting for! From the traditional saying, “Something Old, Something New, Something Borrowed, Something Blue, a Sixpence in Your Shoe,” your something blue can sometimes be the hardest one to find. Usually, when it come to the other parts of this old English good luck rhyme, the bride’s family and friends will already have items lined up for the something old, borrowed and new. After that, it’s not hard to find a sixpence to use for the occasion, so that just leaves the something blue as your good luck charm! 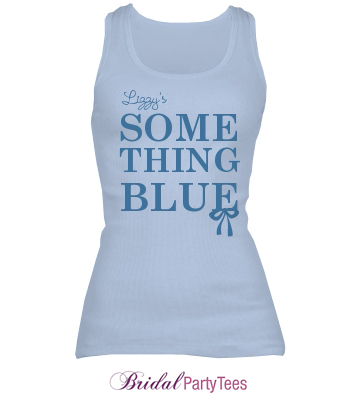 Your something blue will represent love, fidelity and good fortune. 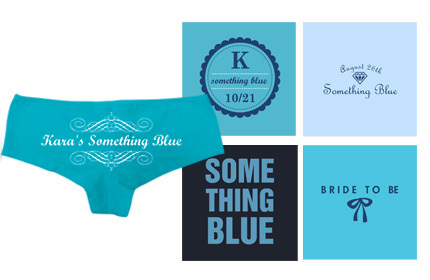 Many brides choose to go the subtle route with their something blue, so we have compiled 7 simple ways to tie in your something blue for the wedding! Find a fun statement and put it on a temporary tattoo that you can place on yourself for the wedding. While you could place it anywhere, the leg or ankle are the most popular options. Ideal for your pre-wedding look until it is time to put on the wedding dress! All your guests will wonder what your something blue is until the garter toss. Perfect for the wedding night when you and your husband are relaxing after the wedding festivities. When you show off the ring, you’ll also be showing your something blue. What did you pick as your something blue? Spill! We want to know! If you’re in the midst of planning a wedding and looking for inspiration on wedding dresses, hair styles, wedding décor or anything else wedding related, you need to be on the social media site Pinterest! Pinterest is a great way to manage wedding ideas that you would have previously had to tear out of wedding magazines and glue into a wedding book. It is the perfect solution for the 21st century bride! Once you join Pinterest, you’ll find endless amounts of wedding ideas that will have your creative juices flowing! You just need to find the right wedding experts to follow. We don’t mean to brag, but Bridal Party Tees has some great wedding boards filled to the brim with wedding goodies and would also be a great place to start your Pinterest wedding planning! Create a pin board and name it something like “Wedding Ideas”. Search on pinterest for specific wedding terms or check out this category [http://pinterest.com/all/weddings/]. Find an image you like? Mouse over it and you will see the Pin It button. Click the Pin It button. A layover window will appear. Choose your Wedding board, and click the “Pin It” button in the layover window. Before long, you will have an awesome collection of wedding ideas that you can easily browse on your wedding board! Do you have a Pinterest wedding board? If so, link to it in the comment section below! We would love to see what wedding ideas you have! Use coupon code BLG813 at checkout and get 10% off your order of $30 or more! Have a wedding planned for the end of the summer? 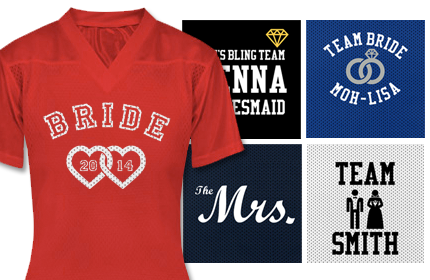 Find all the bachelorette and bridal shirts you will need leading up to your big day! Offer expires 08/31/2013 at 11:59PM EST.